How do I invite others to work on a story with me? 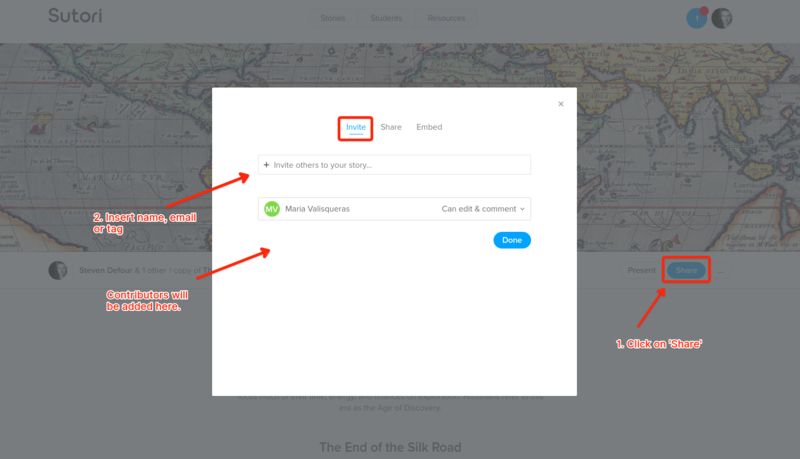 Yes, users from multiple devices and accounts can edit a story at the same time. 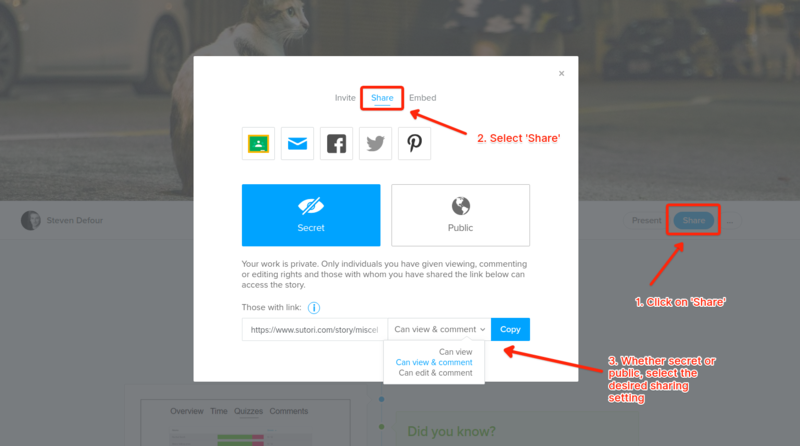 First open your story and click on &apos;Share&apos; located below the banner to the right. On the &apos;Invite&apos; tab, you can then add the names or emails of students. You can also invite a tag, a group of students or class, you may have set up on your students page. Only the creator of the story can add editors.